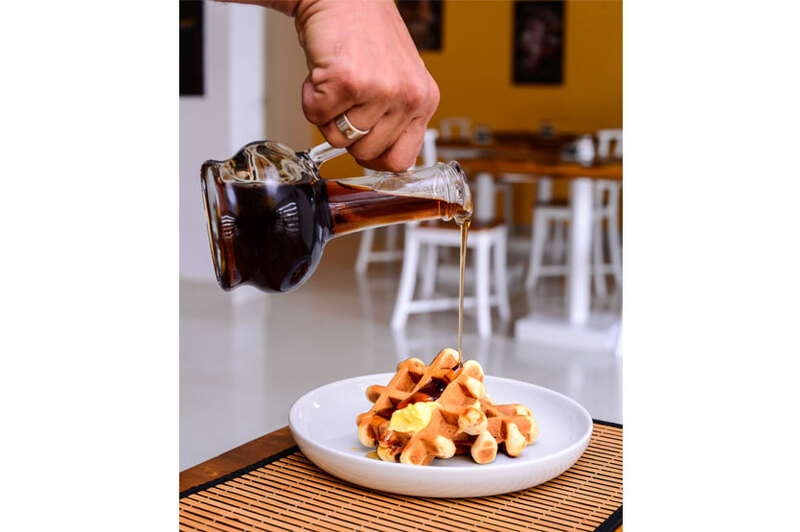 The Waffle Café is a breath of fresh air to the ever growing number of cafés in and around the city of Colombo. 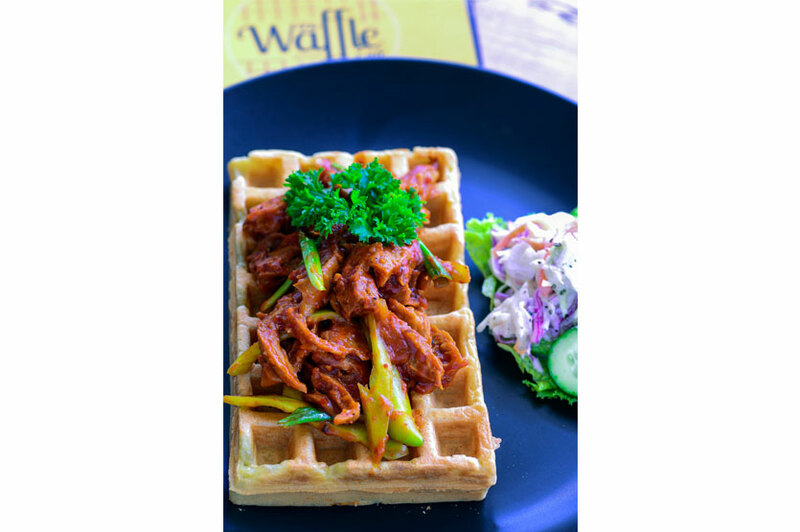 Neatly tucked away in Etul Kotte (close to the Parliament Road), this café serves up the best Belgian waffles in Colombo. The café is run by Durga Kenny and her husband Marcus Kenny and the menu reflects their personalities. Marcus is vegetarian and has therefore ensured a number of vegetarian options on the menu. Durga eats fish and chicken, so these meats are on the menu. The items have quirky names, owing to Marcus, which get you quite interested in the menu at first glance, while the toppings are what Durga has come up with. 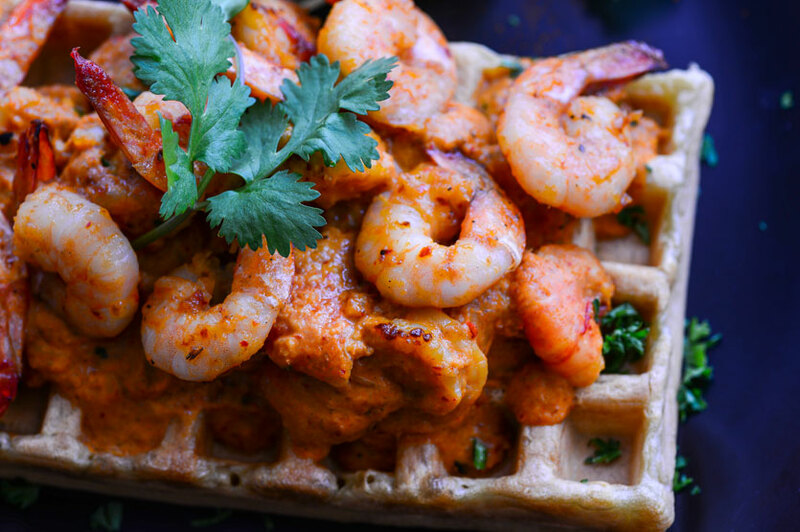 "We wanted to have toppings that we like to have so we twisted them to suit waffles." 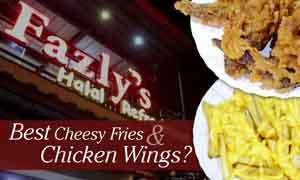 They use ingredients sourced both locally and imported ones as well, while the sauces are made from scratch. The cafe is spotless while the atmosphere is relaxing. 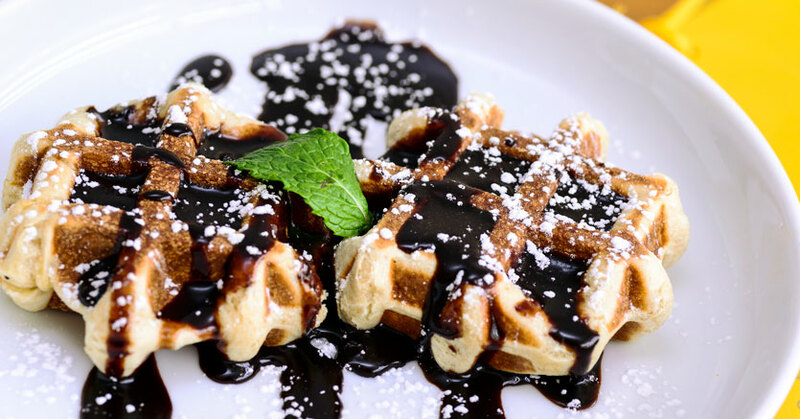 They serve up two types of Belgian waffles at the café, that of the Brussels Waffle and the Liege Waffle. 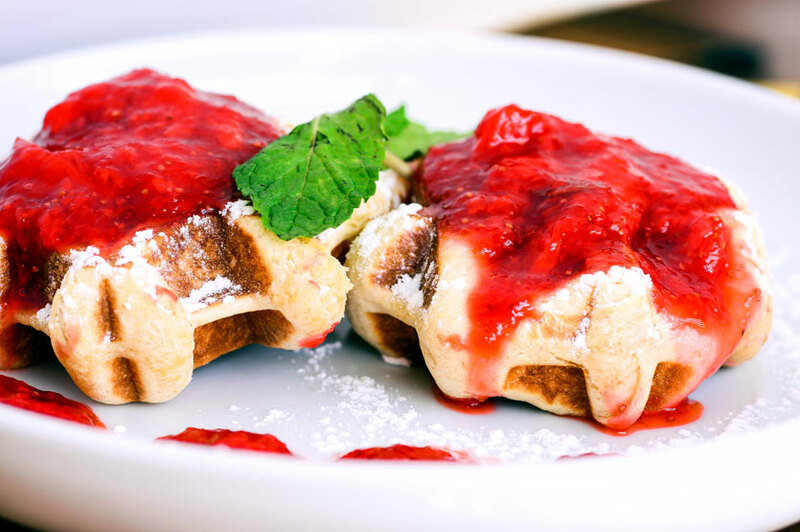 The former is made with a thin yeast based batter and the result is a waffle that is light in texture while being rectangular and consisting of deep holes. The latter is a sweet, dense and chewy waffle due to the sticky dough that goes into making them. They have sugar crystals in them which give it a lovely texture while they are rustic in shape. 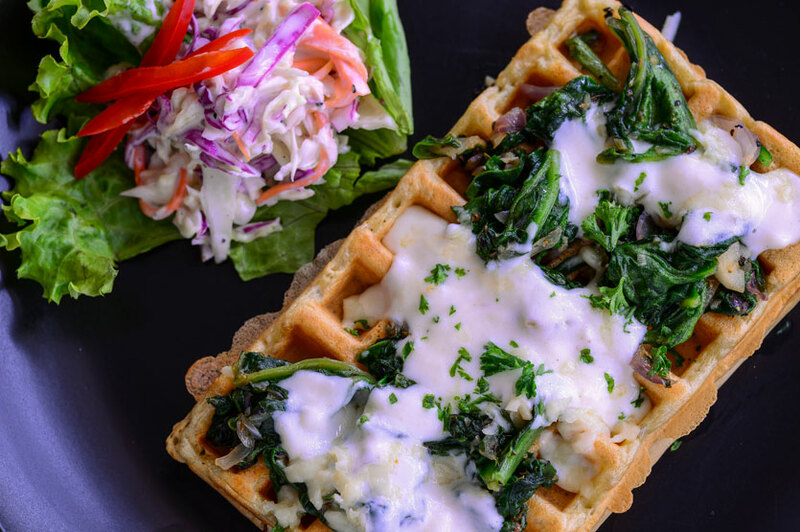 We tried out both their Brussels Waffles and their Liege Waffles. The former comes with savoury toppings and boy did we have our fill of these! You have the option of going for one waffle or two but we were quite satisfied with one. They are very generous with their toppings, which leaves you quite full. We loved the creamy notes of the Farmers Fowl (Rs. 750 / Rs. 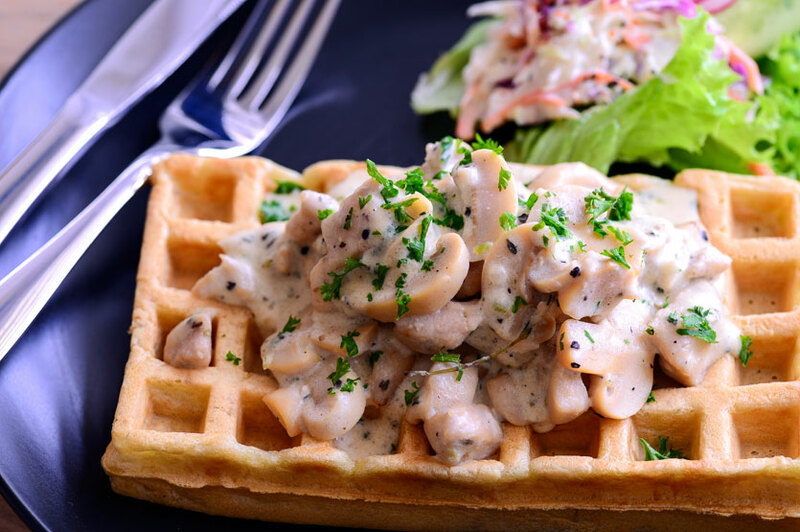 950) which had chicken and mushroom cooked in a cream sauce. 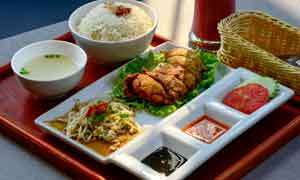 We also thoroughly enjoyed the Red Siam (Rs. 950 / Rs. 1,200), that of prawns cooked in a traditional Thai red curry. A milder topping was the Buono Balls (Rs. 750 / Rs. 950). 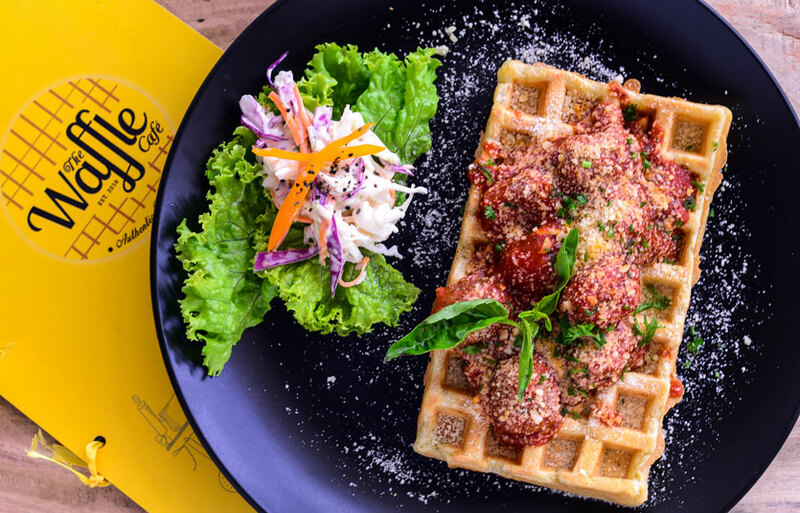 This waffle was topped with homemade Italian flavoured meatballs cooked in tomato and lifted with Italian herbs. The sauce was very much authentically Italian. Our vegetarian options included the Cheesy Popeye (Rs. 560 / Rs. 780) and The Quack (Rs. 700 / Rs. 900). The former is a mild topping made with spinach and herbs cooked in a cream sauce while the latter is made with mock duck and cooked in a 'fiery' chillie sauce. We went for three sweet waffles (Liege Waffles). Our first pick was the Chocolate Fudge (Rs. 560) with Smarties (Rs. 80). 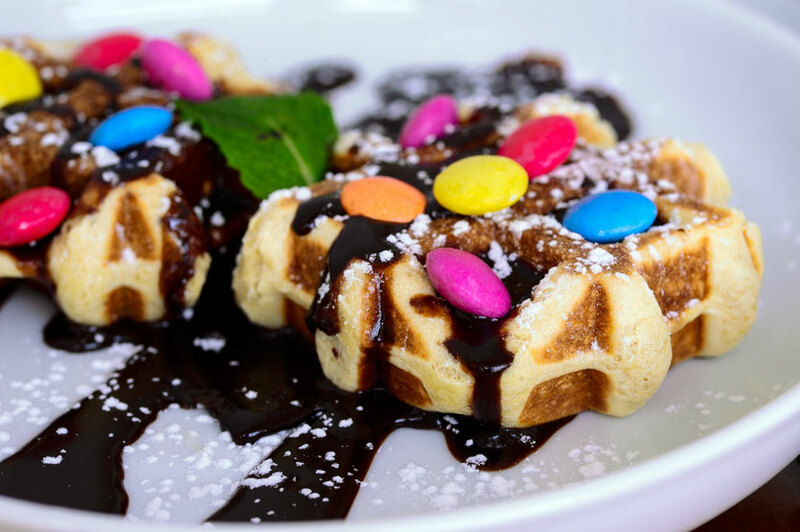 Smarties are an add-on and give these waffles a fun feel. A more sophisticated option was the Strawberry Filling (Rs. 700) while the simple Maple Syrup (Rs. 450) Liege Waffle with butter was delightful. There are three slots available at the cafe while there is ample parking on the road towards evening. The staff are friendly and seem to know the menu well. The toilets are extremely clean, have toilet paper, hand soap and paper towels. Hours of operation: Tuesday to Sunday from 10:00AM - 3:00PM and 5:00PM - 10:00PM. They are closed on Mondays.